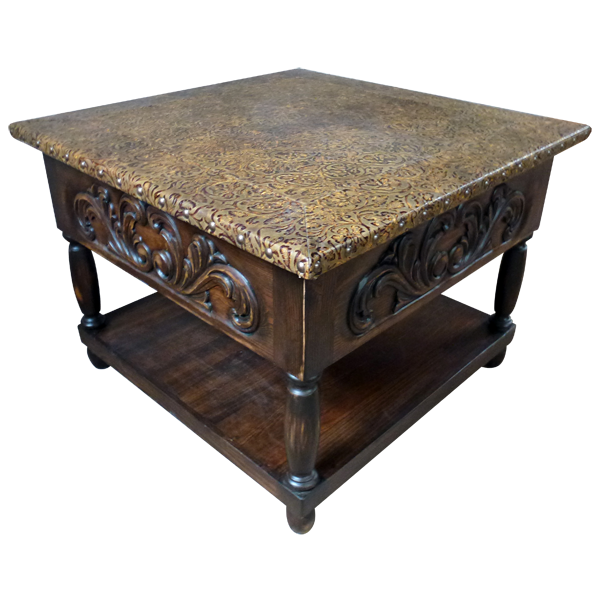 The wide, square table top of this handcrafted end table is covered with lovely, embossed, full grain leather. We have a wide range of full grain leather upholstery available, and you can select the leather upholstery that is appropriate for your home décor. The table top rest on a beautiful apron, and each panel of the apron is hand carved with exquisite, floral designs. 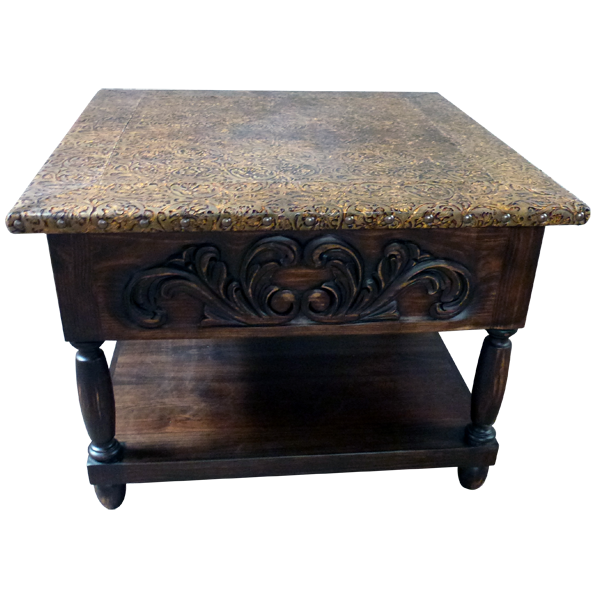 The apron and the base are divided by exquisite, hand turned supports, and the base acts as an additional tray. The end table rest on sturdy, hand turned feet. Made with the best, sustainable, solid wood available, it is 100% customizable.